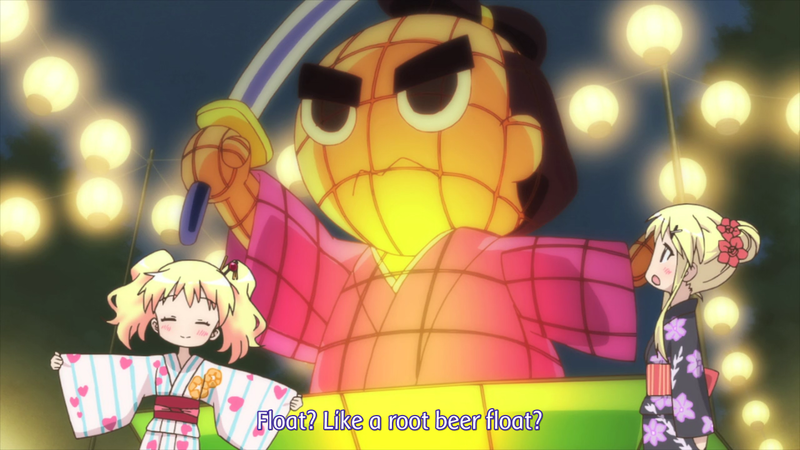 Kin-iro Mosaic – 06 | Mezashite! 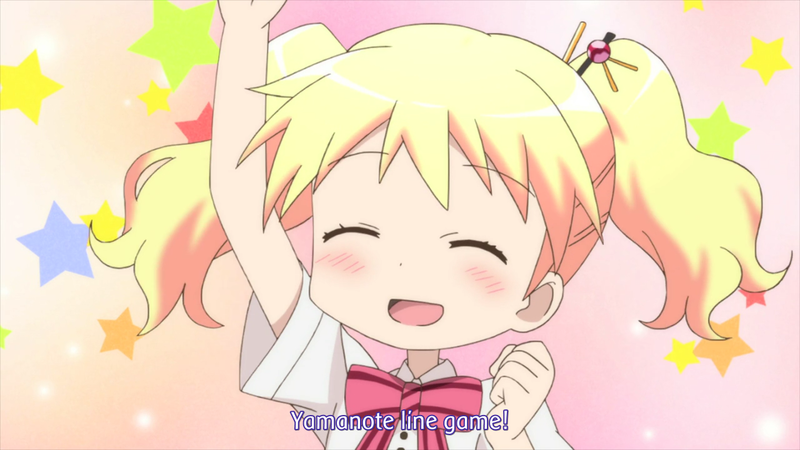 The Yamanote line game is usually a drinking game where you go in a circle and name things in a category (canonically, stops on the Yamanote line, a subway line in Tokyo that goes in a circle and visits all the places anyone cares about, which is why the game is called what it’s called). When you can’t, you take a drink (or other things, if you’re into other things). 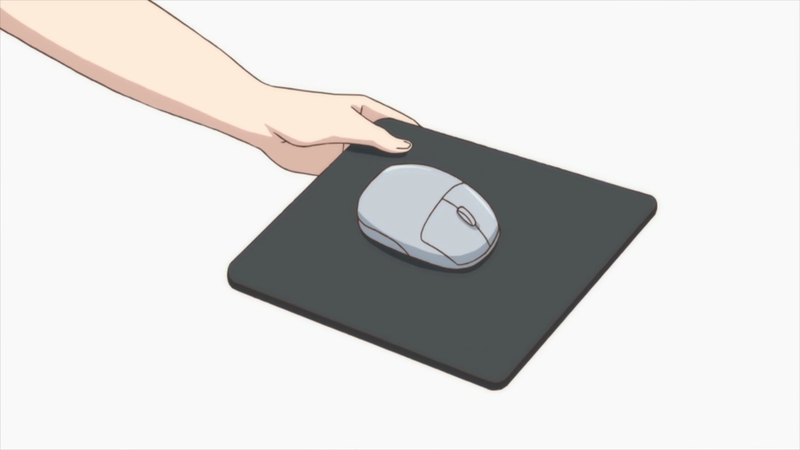 Pads, like for bras, and pads, like for mice. We’re not going to TL note everything that we don’t translate literally, but I took a screenshot, so here. 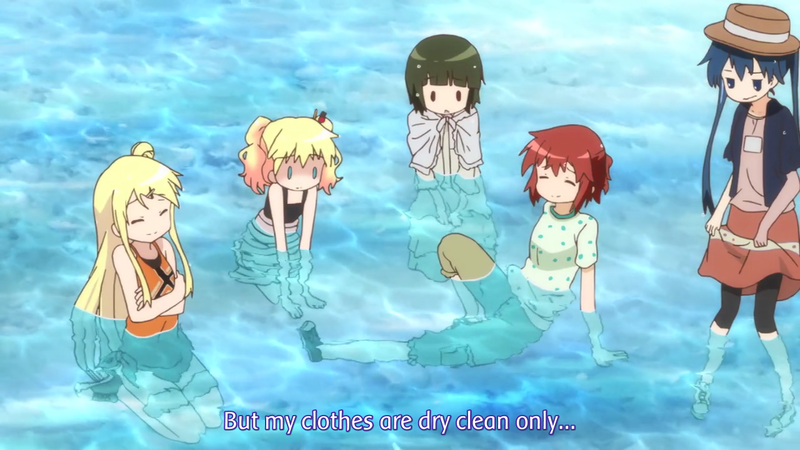 She literally says “But my wet clothes won’t return [to the way they were when they were dry]”. Obligatory reference to The Honest Woodsman (The Golden Axe/Hatchet in Japanese). 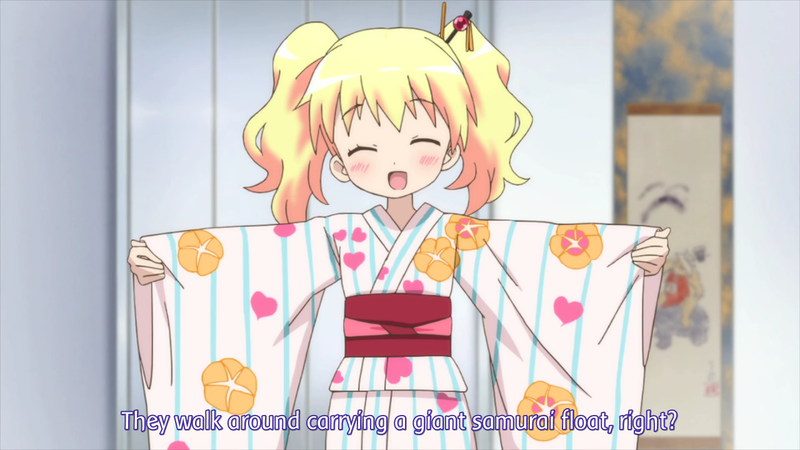 Pun on the word “dashi”, which means “float” as in a parade float, as well as “stock”, as in soup stock. 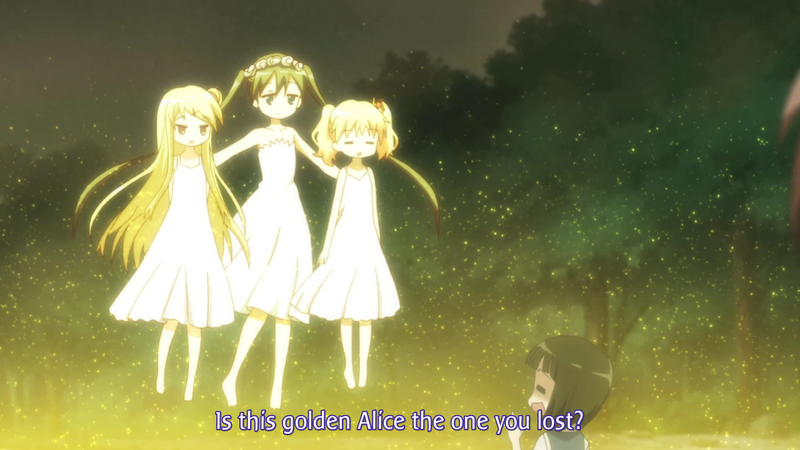 I bet other language fansubs don’t have this problem where someone speaks sort of English and you have to make it different in some way. 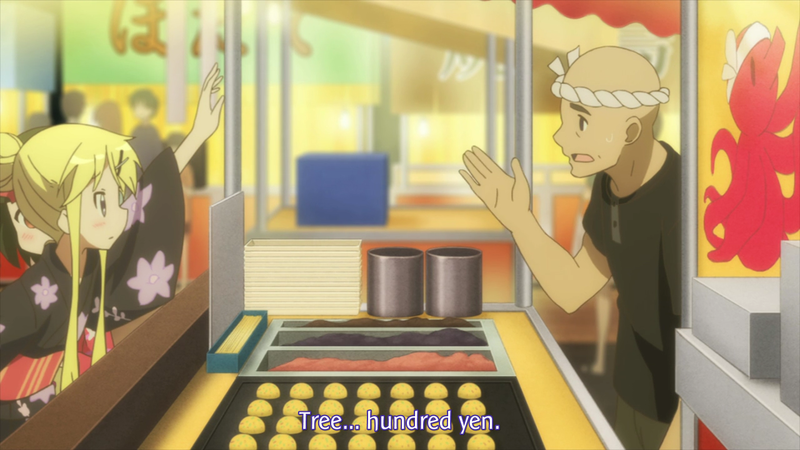 Shino says that she doesn’t have any “uchiage hanabi”, which literally means “fireworks that shoot up”. 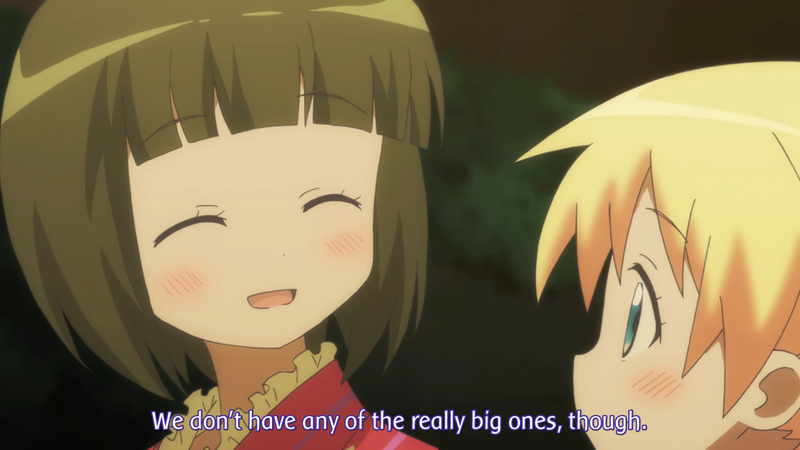 More typically, it means “really big fireworks”. 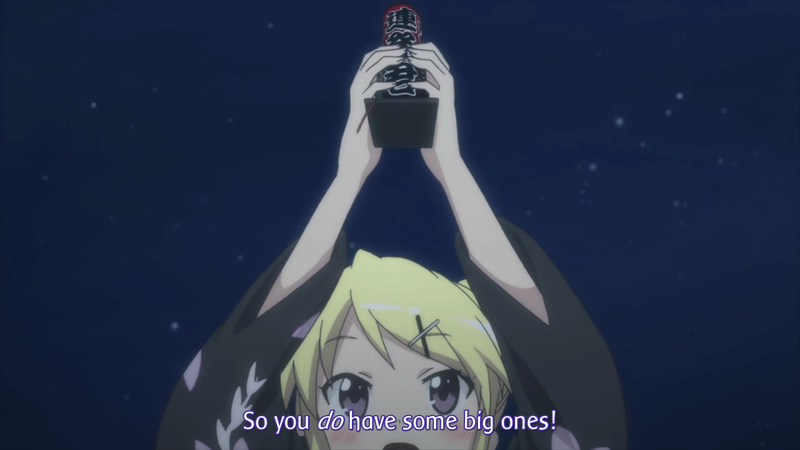 Karen takes it literally, so she’s surprised to find one. Forgot to mention this. 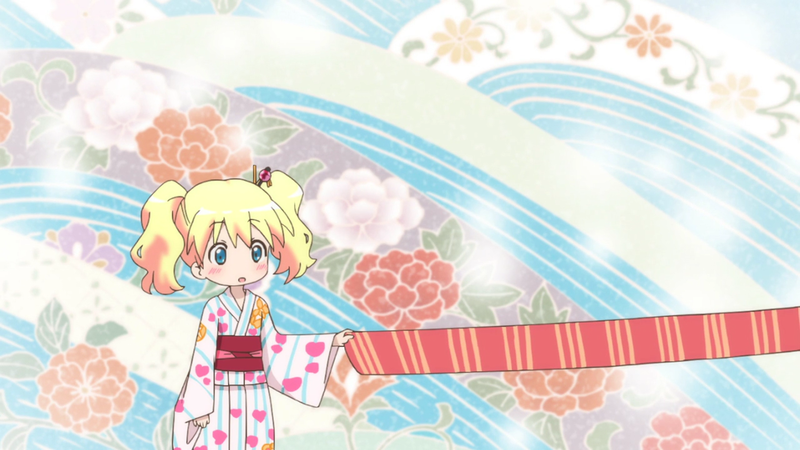 Karen is holding Anime Time Kirara, which is based off the real magazine Manga Time Kirara. 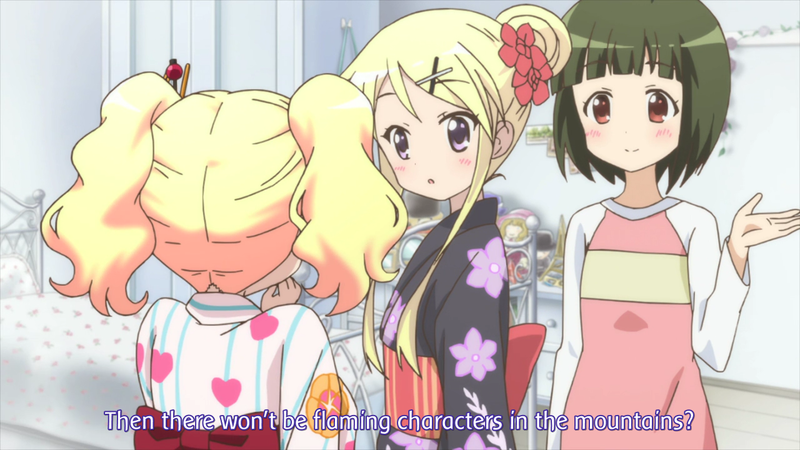 There are a bunch of different versions, and Kiniro is run in Kirara Max. 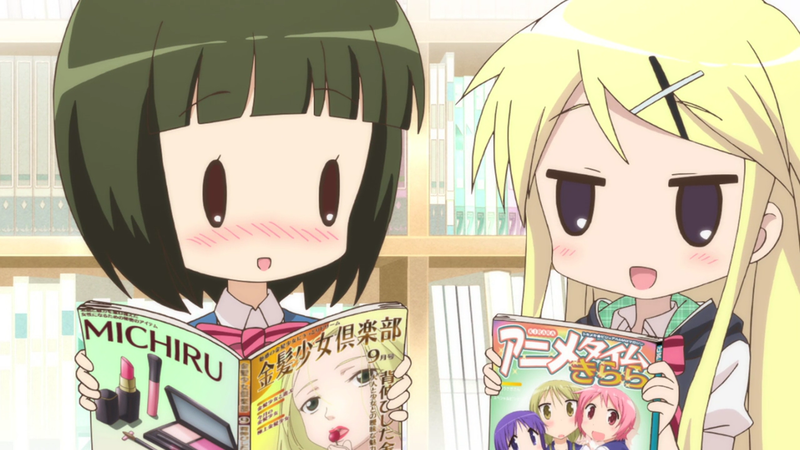 Other series include A Channel, GA Geijutsuka, and of course, Yuyushiki. The article they show is more than likely real. For a place with schools for aspiring voice actors, they certainly over-estimate their ability to sound like native English speakers. Or maybe that’s part of the humor. My Sunday would not be the same without this. Thanks guys! TL notes were SO helpful, thank you for posting them! I know this isn’t the thread for it, but would you guys pick up the Neptunia anime at some point? The choice of subs is so crappy, I’m almost begging someone to save the show. Our current schedule is only two shows per season, which is both because our team is very small, and because we want to keep the quality high for both releases. Also, we’re already halfway through the season. Sorry about that. 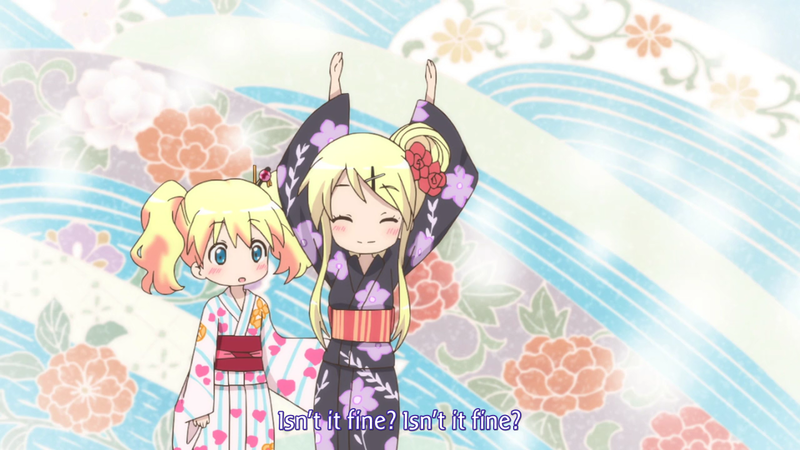 Thank you very much, team Mezashite, for the Kiniro Mosaic releases! I particularly appreciate how your typesetting doesn’t cover up texts and signs like IB does; it shows a certain level of respect for the original material. 5:44 – It’s may not be Mount Fuji, but we’re going up a mountain.